It’s time to start winterizing your lawn! But what does that mean? 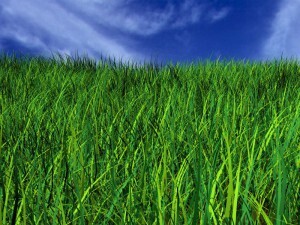 During the fall months, the nutritional needs of grass will change to prepare for the cold months ahead. This is why applying a good winterizing fertilizer to your yard in the fall is important. The importance of winterizing fertilizer is the higher level of potassium. Potassium is a very important nutrient in overall plant health. It works at the cellular level to strengthen and harden plants from top to bottom, making them more tolerant of cold and stress. Potassium also helps a plant absorb other nutrients, making it an important component of balanced feeding for your lawn. Stop by the store today and pick up fertilizer for any Bermuda or St. Augustine grass to help ensure that your yard gets the best nutrients it needs! This entry was posted on Monday, August 6th, 2018 at 10:37 am	and is filed under News & Updates. You can follow any responses to this entry through the RSS 2.0 feed. Both comments and pings are currently closed.